KISS is back on home turf tonight (March 22) with its final "End Of The Road" tour hitting Long Island's Nassau Veterans Memorial Coliseum. Paul Stanley spoke to his old hometown paper the New York Post and explained why now is the time for him and Gene Simmons to walk away from the world's stage. Stanley said: "We take tremendous pride in what we do, and we have a tremendous responsibility, not only to the fans but to our legacy. If we were a band wearing T-shirts and jeans, we could do this into our 90s, but… we're carrying 30 to 40 pounds of gear and running around and making it look easy. Our idea was to make sure that, before we reach a point of diminishing returns, we go out and, in essence, take a victory lap. We don't wanna go out with a whimper; we wanna go out with a bang." 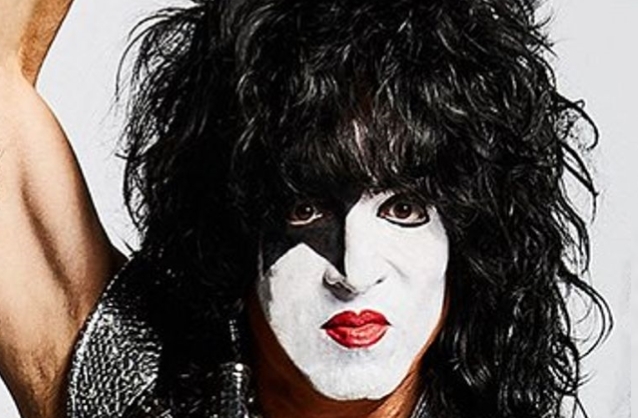 When asked to differentiate between Paul Stanley and the beloved masked "Starchild" live persona he's perfected over the past 45-plus years, Stanley said: "You behave differently in different situations. When I'm at dinner, I don't stand on the table and yell for people to pass the salt. When I'm in an arena, it's a different situation... But I'm never wearing a disguise. This is never a masquerade. It's so much a part of me that whether it's on my face or in my blood, it's always there... So whether I ever put it on again or not, it's part of me. The tattoo is on the inside, also." Stanley was then pressed to offer up his favorite KISS song. "It would have to be either 'Love Gun' or 'Detroit Rock City', just because they so embody the personality and attitude of the band," he said. "Although I'm sure the song that will always come to mind first (to others) is 'Rock And Roll All Nite'." KISS kicked off "End Of The Road" in late January in Vancouver. The first leg of the global trek, which could last three years, wraps April 13 in Birmingham, Alabama. The touring lineup features the current version of the band — Stanley, Simmons, guitarist Tommy Thayer and drummer Eric Singer.